C&N-W Ry #2 Freight & Passenger Depot​​ •••• This is the mid-size standard C&N-W Ry turn of the last century depot found at junctions and larger towns. It was also used by M&StL and CStPM&O Ry. This depot has a Waiting Room, Ticket Office, Freight Room, and a small Train-Registration Room. 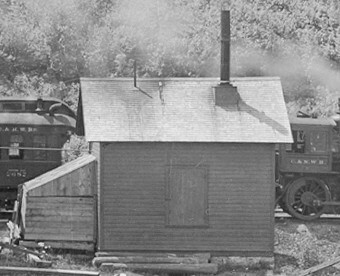 The prototype for this depot was located in Mercer, WI. Footprint; 36ʺ x 11½ʺ. Prototypical platform would be 84ʺ long. Reduce the platform size if you don’t have all that room. 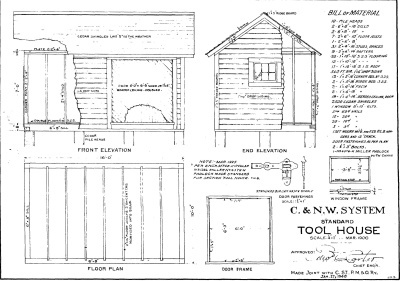 $14 Plan-Set includes: 8) 13ʺ x 19ʺ super B size drawings include a Railroad Garden material list. 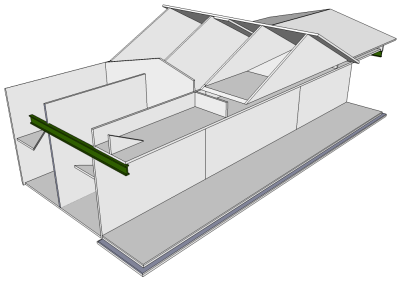 Included is prototypical "stick" or Foam Core Board. Spiral Bound Booklet consists of: 10) 9½ʺ x 13ʺ pages with prototypical information of this Depot in Mercer, WI and a Weathering Clinic. C&N-W Ry #3 Freight & Passenger Depot​​ •••• This is the smallest standard C&N-W Ry turn of the century depot found at the end of spurs and at “Whistle Stops.” It was also used by the CStPM&O Ry. This depot has a Ticket Office, Freight and Waiting Room. 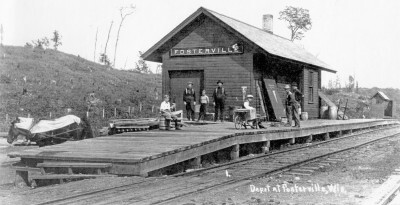 The prototype for this depot was located in Fosterville/Winegar, WI. Footprint; 20" x 8ʺ. Prototypical platform would be 65ʺ long. Reduce the platform size if you don’t have all that room. 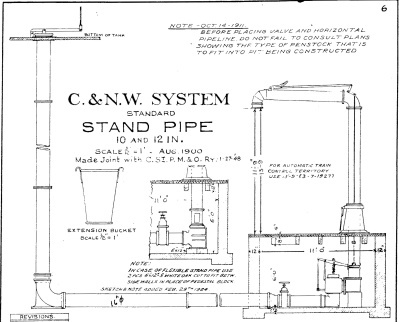 $13 Plan-Set includes: 7) 13ʺ x 19ʺ super B size drawings with a standard C&N-W Ry 3-hole Water Closet. 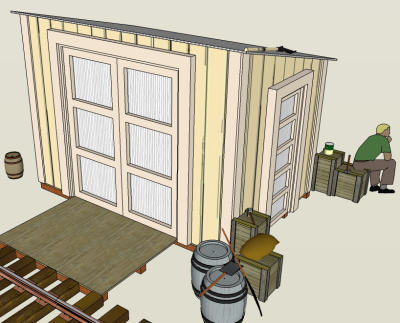 Also include is a Railroad Garden material list for Foam Core Board construction plus a redrawn prototypical drawing. 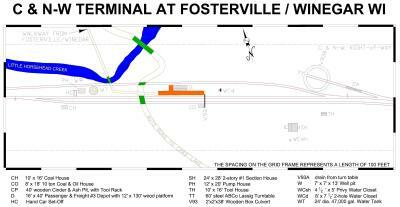 Spiral Bound Booklet consists of: 10) 9½ʺ x 13ʺ pages with prototypical information of this Depot in Fosterville/Winegar, WI. and a Weathering Clinic. 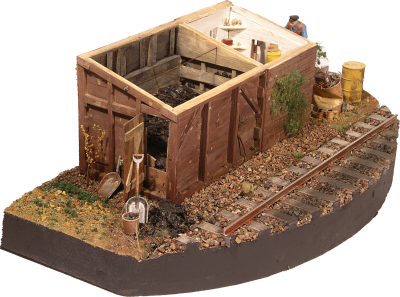 $10 Plan-Set includes: 4) 13ʺ x 19ʺ super B size drawings include a Railroad Garden material list. 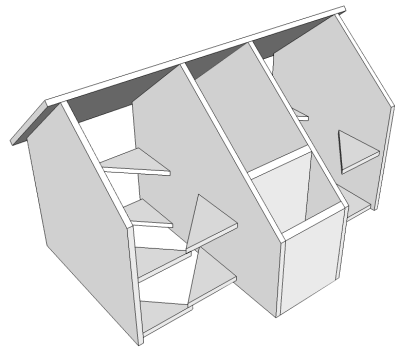 Included is prototypical "stick" or Foam Core Board. Spiral Bound Booklet consists of: 10) 9½ʺ x 13ʺ pages with additional illustrated construction details. 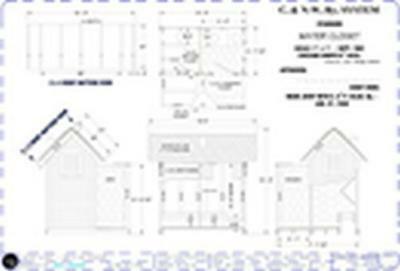 C&N-W Ry Small Terminal in Winegar, WI, Footprint Plan Sheet​​​​ •••• This footprint shows the #3 C&N-W Ry Freight and Passenger Depot with a 130΄ Platform (shown above). 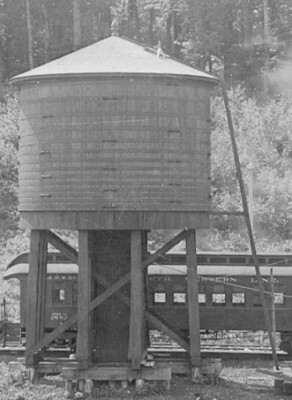 Plus a Coal House, Coal & Oil House, Culvert, Hand Car Set-off, 2-story Section House, Water Closets, Tool House, 60΄ Lassix Turntable with a Cinder Pit, Well Pit, and a 47,000 gallon Water Tank. $3.50 Footprint: 1) 13ʺ x 19ʺ super B size drawing. C&N-W Ry Terminal in Mercer, WI Footprint Plan Sheet​​​​ •••• This footprint shows the #2 C&N-W Ry Freight and Passenger Depot with a 190΄ Platform (shown above). 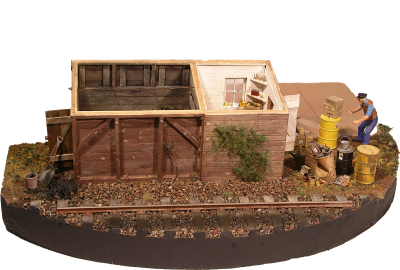 Plus a Coaling Bucket House, Coal & Oil House, Hand Car Set-off, 2) Section Houses, Tool House, 2) Hand Car Sheds, Sand Bin, Stock Chute, 3) Water Closets, Pump House, Well and a 47,000 gallon Water Tank. $4 Footprint: 1) 13ʺ x 19ʺ super B size drawing. 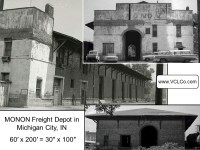 Monon RR Freight Depot​​ •••• This unique Freight House was in Michigan City, IN on May 1, 1865, when Abraham Lincoln’s Funeral train stopped on its way to Springfield, IL. And, can still be found in Michigan City today. 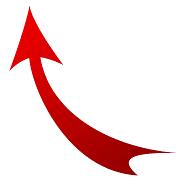 Footprint 100ʺ x 30ʺ with the length easily reduced in increments of 12ʺ. $14 Plan-Set includes: 8) 13ʺ x 19ʺ super B size drawings include a Railroad Garden material list for Foam Core Board construction. Spiral Bound Booklet consists of: 14) 9½ʺ x 13ʺ pages with over 35) illustrations for Foam Core Board construction and prototype photos. Materials, adhesives, and finishing for this model are covered. Michigan Central RR Passenger Depot​​ •••• This is the first MC RR (later merged with the NYC) Depot in Michigan City, IN. This was the depot that was in Michigan City when Abraham Lincoln’s Funeral Train stopped on May 1, 1865 on its way to Springfield, IL. It has a central ticket office with large Gentlemen’s and Ladies waiting rooms. There is no similar available commercial Depots to this unique structure. Footprint 50” x 18½ʺ. 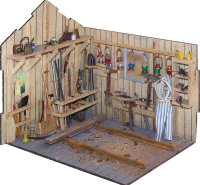 $9 Plan-Set includes: 2) 13ʺ x 19ʺ super B size drawings and 3) 9½ʺ x 13ʺ super A size drawings Material List for indoor or RR garden modeling. 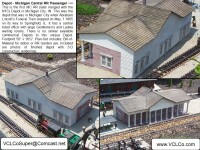 Included are photos of finished depot with 3-D construction renderings for Foam Core Board. 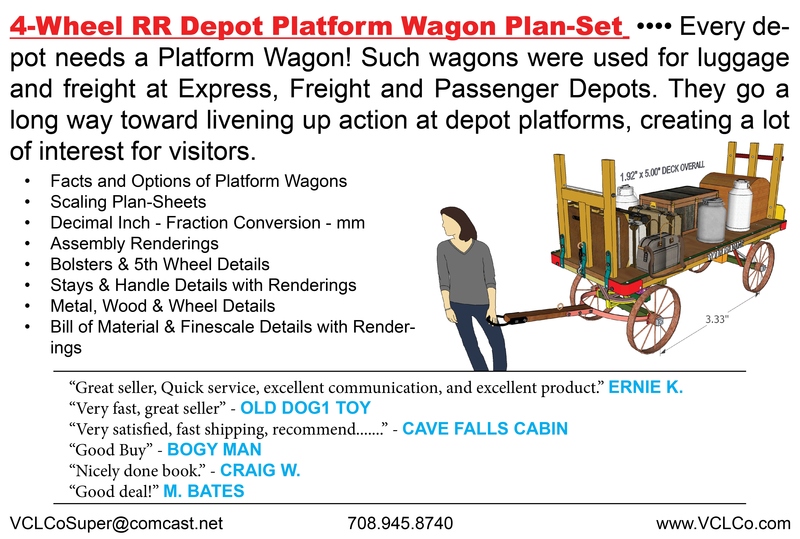 4-Wheel RR Depot Platform Wagon​​ •••• Every depot needs a Platform Wagon! Such wagons were used for luggage and freight at Express, Freight and Passenger Depots. They go a long way toward livening up action at depot platforms, creating a lot of interest for visitors. 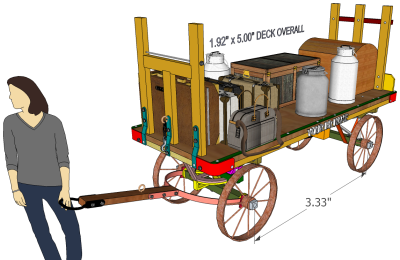 $13 Plan-Set includes: 7) 13ʺ x 19ʺ super B size drawings which include options for Mail and Milk wagon decks. 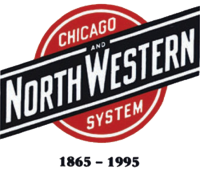 Spiral Bound Booklet consists of: 5) 9½ʺ x 13ʺ pages which is a rich source of information for anyone interested in 4-Wheel Railroad Platform Wagons used for over 100 years at Passenger, Freight and Express Depots. 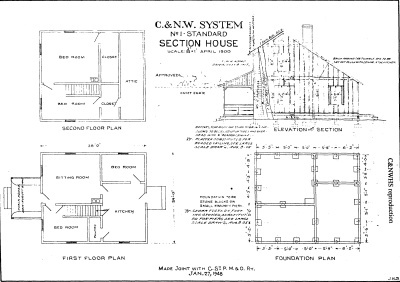 Water Closet (Outhouse)​​ •••• This Plan Sheet is of the 1901 C&N-W Ry Systems three-holer. It was made joint with the C.St.P.M.&O Ry and other railroad communities. Footprint 3-13/16" x 4". $5 Plan Sheet includes: 1) 13ʺ x 19ʺ super B size drawing. 1:13.7 Scale 4-Wheel RR Depot Platform Wagon​​ •••• Same as 1:24 scale. 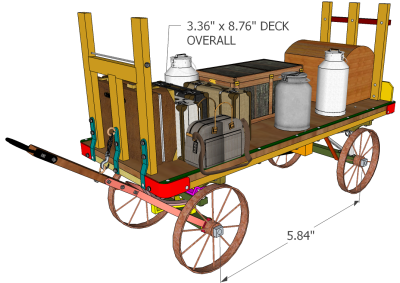 $16 Plan-Set includes: 9) 13ʺ x 19ʺ super B size drawings which include options for Mail and Milk wagon decks. 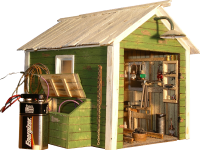 RR Tool House​​ •••• This award winning model started as a kitbash. Drawing included is very detailed to make this model very unique. Foot print is 5¾ʺ x 4⅞ʺ. $6 Plan-Set includes: 1) 13ʺ x 19ʺ super B size drawings. Bound Booklet consists of: 14) 8½ʺ x 11ʺ size pages, which includes; over 35) illustrations, very detailed instructions, weathering with detail scenicing for this diorama. Coal & Oil Shed​​ •••• This is a C & N-W Ry 1914 Standard Coal & Oil House that would have been found at small terminal complexes or along any prototype Steam Era railroad refueling stop. They would have been spaced every 100-150 miles, 100 years ago. Footprint is 9ʺ x 4ʺ. 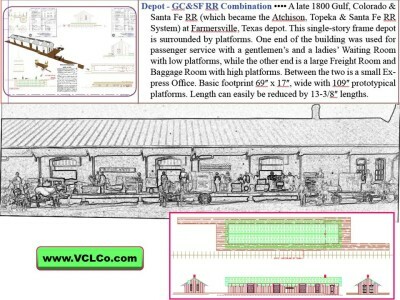 Generic Passenger Depot​​ •••• This easy to construct building would be appropriate for a small whistle stop depot. It is an appropriate first project if you have not had the experience of working with Foam Core Board and textured patterned styrene. Footprint is 7¾ʺ x 11ʺ. $8 Plan-Set includes: 1) 13ʺ x 19ʺ super B size drawings. Spiral Bound Booklet consists of: 12) 9½ʺ x 13ʺ size pages, which includes; recommend textured patterned styrene on exterior foam board with instructions. Velocipede Shed​​ •••• These Sheds were once found everywhere along railroad tracks. And, could have been found every 10 miles or so along mainline railroad tracks for the Section Crews across North American to check their trackage. Velocipedes (from the French for "swift footed") weighed around 135 pounds and were easily manhandled from planks between tracks onto a small platform in front of the shed and rolled into the building for protection from the weather. Footprint is 4ʺ x 6ʺ. $9 Plan-Set includes: 4) 13ʺ x 19ʺ super B size drawings. Put our expertise to work for you. 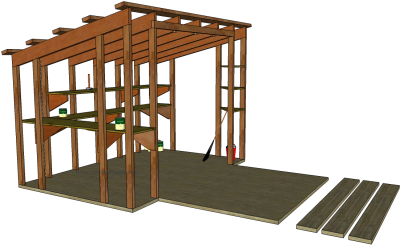 At the Vilas County Lumber Company, we can do a custom design for you. 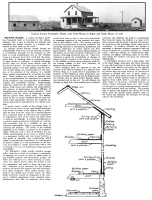 Coal Bucket​​ •••• This drawing consists of construction pictures and instructions on how to solder/build brass Coaling Bucket for a Coal Bucket facility. Styrene would be an alternative material. NOTE: When gluing in rivets you’ll probably ask yourself is this really worth it? Yes it is. Wait until you paint your buckets. The rivets will jump out at you. 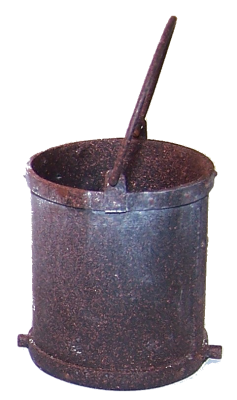 This will result in the best looking Coal Buckets you have ever seen! 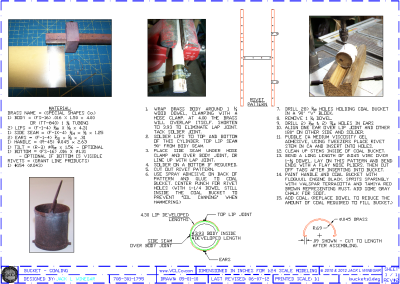 $4 Plan Sheet 1) 13ʺ x 19ʺ super B size drawing with instructions, photos with scale rivets for a fine scale model. This Depot above was constructed by cutting and gluing the heavy 70# paper from the C&N-W Ry #3 Depot Plan-Set of Foam Core Board. 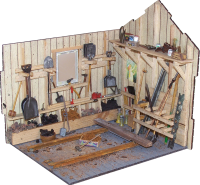 It is an example of one of our full size Plan-Sets that was used as a template to build a model. 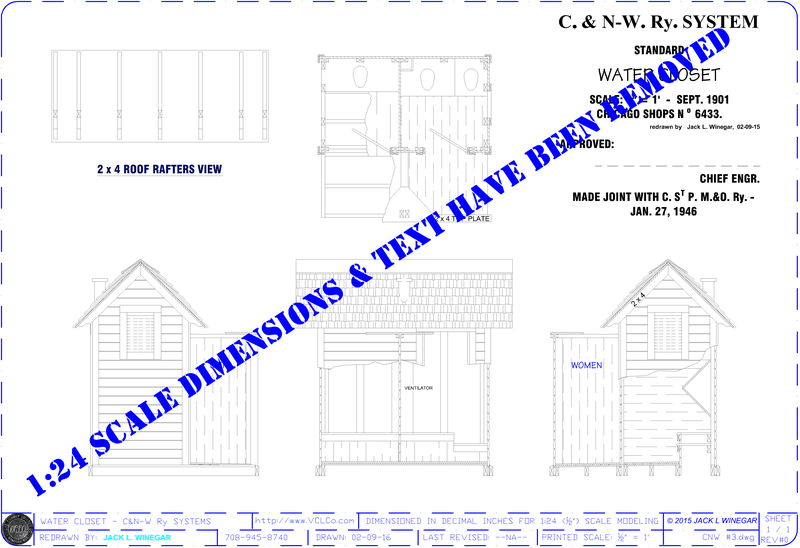 We encourage the purchaser to make copies of our Plan-Sets and use them as templates. 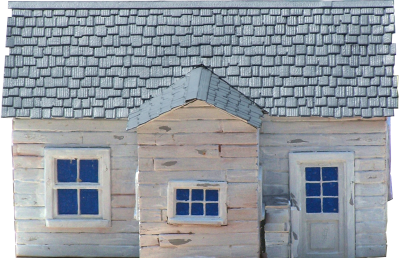 This model has yet to be painted and needs a more substantial roof. What is pictured was constructed in less than a couple hours.